(Bloomberg) -- Donald Trump said he signed a proclamation restricting people who illegally cross the U.S. border with Mexico from claiming asylum, as the president seeks to choke off migration from Latin America. The change to asylum procedures was published Thursday by the Justice Department. 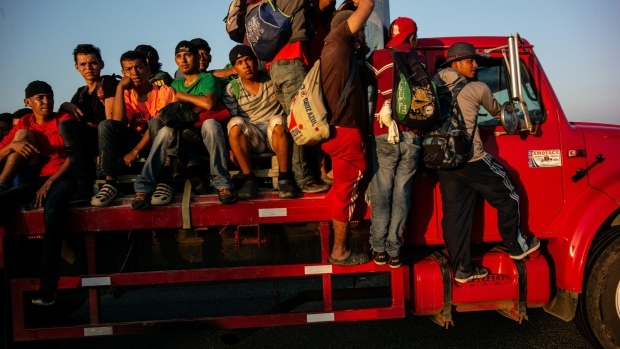 Trump has blamed U.S. asylum rules for luring thousands of migrants a year from Central American countries. The new rule is almost certain to be challenged in courts.